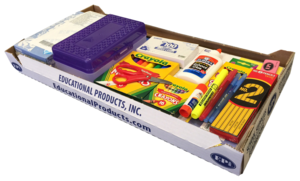 EPI are custom made to include the supplies selected and approved by our school! Deadline to order is June 16, 2019. Please consider making a donation to help support deserving students for CVHE families in need. REMINDER: Order kits for the grade your student(s) will be entering in the 2019/2020 school year. Order your EPI by clicking www.educationalproducts.com/shoppacks. Our school code is CHE131. Cherry Creek School District | CHVE.org is managed by the PTCO and is not part of the district site.